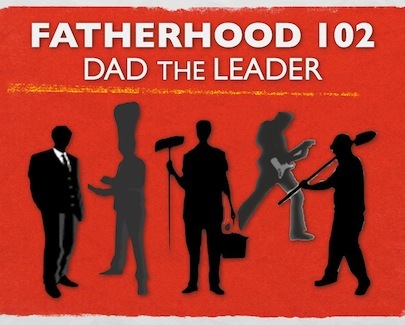 As fathers, it is our position to lead our families. See if you recognise these qualities in yourself as you walk through our series on family leadership. 1. Vision – We want to impart vision to our children, to recognise and focus on the right values and their strengths, which will serve as a platform for growth. Pay attention to what your children are interested in, and help them to learn something from what they observe. If they are intrigued by technology, enrol them in a robotics class. If they become curious about dance, let them sample dance classes at your local Community Centre, or take them to the library to explore their current pet topic. Each experience that your children go through will challenge them in a unique way. Talk to them about their experiences – their challenges are great opportunities for you to influence them positively. For instance, if they are facing obstacles in learning something new, sharing how you respond to testing situations can adjust their perspective and give them the power to carry on. By giving positive input, your children can learn that their attitude and willingness to persevere is what determines success. Remember to help them celebrate their successes too, with each step they take that closes in on their vision. 2. Balance – Focus your family on things that help each member to develop holistically in mind, body and spirit. This will open up time to do things that you all enjoy, and you will have plenty of opportunities to communicate and connect with one other. For some families, engaging in a hobby together, such as creative crafts or outdoor sports will bring balance. For others, having a routine or set time to do something together as a family will increase your efficiency and leave you with sufficient rest time. Spread the workload at home. This is another way to lead your family towards a state of balance. Talk to your family about the responsibilities that every member has to meet, and entrust each member with important roles and functions. Make sure everyone has a positive stake in the family, and give every member the coaching, guidance and encouragement necessary to ensure their success. After all, success breeds more success! Finally, lead your family in spirit. Your children need a set of values that can see them through the ups and downs of life. Impart a yearning for truth, and teach the value of seeking for peace in their lives. 3. Integrity – Believe, say, do. Possibly the most important ingredient for leading our families is integrity. Our children look up to us, and love us more than we realise. They depend on us for security and all their basic developmental needs. To lead with integrity, what is required of us is that we align our thoughts with our words, and our words with our actions. Fathering with integrity simply means that we say what we mean, mean what we say, and follow-through with our promises. This is leadership at the highest level. It is easier said than done, but integrity is worth striving for. That is not to say that we have to be superhuman, even though it often takes a great effort. Even in our imperfection, it is when we are faithful, reliable and show self-control that our leadership in our families will be cemented. Integrity also means being yourself – being able to show your children the real you, including your faults. On the other side of it, our families will give us the credibility and trust when we have integrity. That will form a solid foundation for building everything we want to see in our children. 4. Compassion. The world in which we live is governed by rigid yardsticks, rules and systems. This leaves a large void in which dads need to take the lead and make the world better for our children – by demonstrating compassion. Treating others as we would like to be treated, whether they “earn” the right or not, is one example of compassion. Choosing to give way to others even when we are entitled to our rights is another way to show compassion. Being compassionate is what a person who is a leader should rightfully be. Not always a fighter, but always a victor. Our children can look up to us when we model compassion, and when they grow up to do the same, others will see the spirit of leaders in them. We influence our children through the way we connect with our society and community. And by leading with compassion, our children will learn from us to be peacemakers, to speak kindly of others, with empathy and generosity of heart. One who leads with compassion, no one will be able to call kiasu*. *kiasu – a Chinese language term frequently used in colloquial Singapore speech, which literally means ‘afraid to lose’.